Why do so many people love Costco? I believe it’s not only the prices (and the free samples), but also the fact that the big box retailer offers a limited selection of products. Having Costco present you with a limited, but vetted, set of offerings makes it easier for shoppers to make buying decisions. Why do brands pay athletes and actors to push their products? It’s because people tend to look to authorities and influencers to inform their buying decisions and fashion choices. These questions and answers apply to in-store interactions. But the larger lessons can also be applied to over-the-phone or online customer support scenarios. The idea here is that just a few simple choices makes it easier for callers to make a selection. And that can result in higher conversion, faster handle times, and lower customer support costs. So what about the earlier point about authorities? Well, on the phone call center agents should immediately make it known they are authoritative sources. That’s not to say that they should talk down to callers or be rude. Quite the opposite in fact. 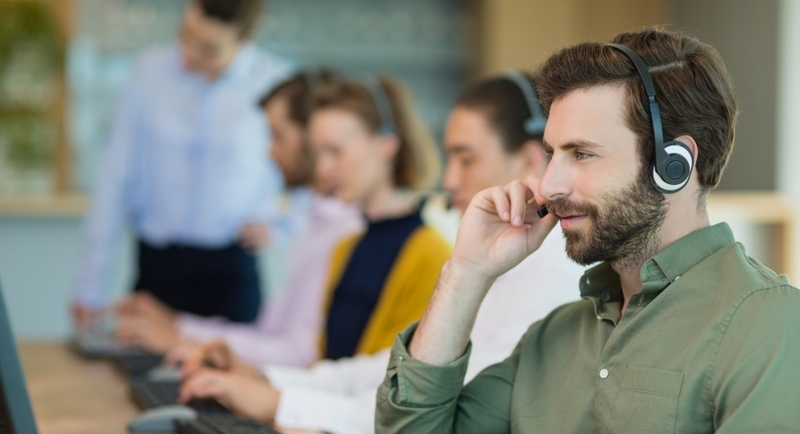 What agents should do, and call centers should create scripts to convey, is that they are there to help callers – and to do so quickly and efficiently. People tend to like dealing with others who signal they’re in control. And most customers in need of phone assistance want to get their inquiry taken care of sooner rather than later. So, for best results, agents should begin collecting caller information as soon as possible, let callers know what’s happening at all times (even during periods of silence when they’re calling up information or keying in data), and provide callers the answers they need ASAP.